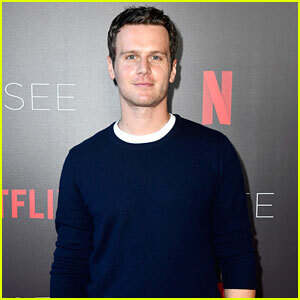 Jonathan Groff attends a For Your Consideration event for his Netflix series Mindhunter on Friday night (June 1) at Raleigh Studios in Los Angeles. 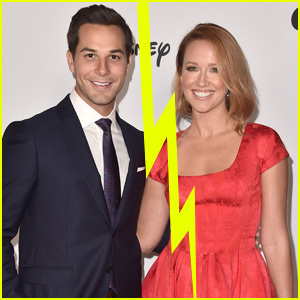 The 33-year-old actor was joined at the event by co-stars Anna Torv, Holt McCallany, and Cameron Britton, as well as director David Fincher. David opened up about how he had his cast do many, many takes of each scene. Jonathan Groff happily poses with his Mindhunter co-stars Anna Torv, Holt McCallany and Cameron Britton during Day Two of the 2018 Vulture Festival presented By AT&T at Milk Studios on Sunday (May 20) in New York City. Also in attendance at day two of the festival was Ava DuVernay, Johnny Knoxville, Ray Donovan‘s Jon Voight, Liev Schreiber, writer David Hollander, Susan Sarandon and Eddie Marsan, as well as Vanessa Bayer, Phoebe Robinson and Gillian Jacobs of Netflix’s Ibiza. 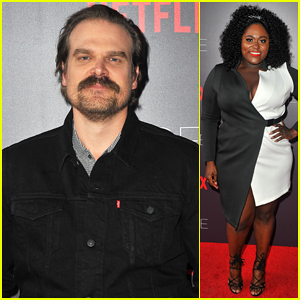 David Harbour & Danielle Brooks Get Recognized As Netflix's 'Scene Stealers'! David Harbour keeps it cool and casual as he hits the red carpet at Netflix #FYSee: Scene Stealers panel session held at Netflix’s FYSee Space at Raleigh Studios on Thursday (May 10) in Beverly Hills, Calif. The 43-year-old Stranger Things star was joined by Orange is the New Black‘s Danielle Brooks, Godless‘ Merritt Wever, Mindhunter‘s Cameron Britton and Maniac‘s Julia Garner as they represented their breakout roles in their individual shows. 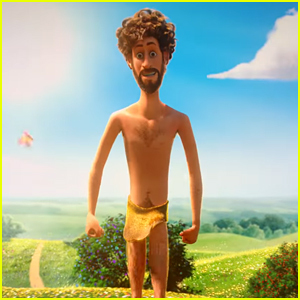 Netflix’s second annual FYSee installation, touting prominent series for awards consideration, is being held until Saturday (June 9). 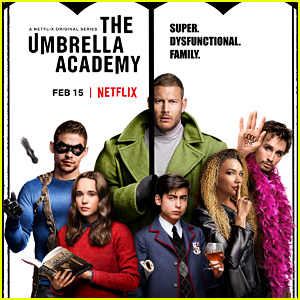 In case you missed it, check out all the pictures from the the Netflix FYSEE Kick-Off Celebration! FYI: Julia is wearing a Sies Marjan top and skirt.